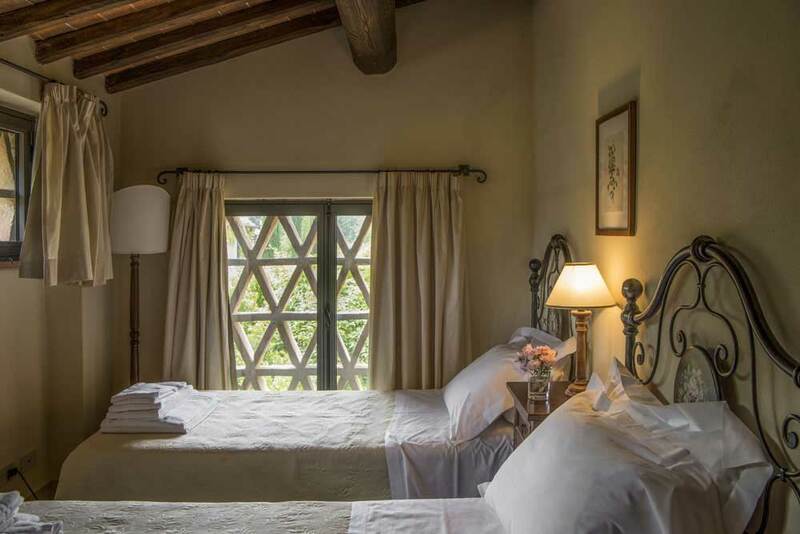 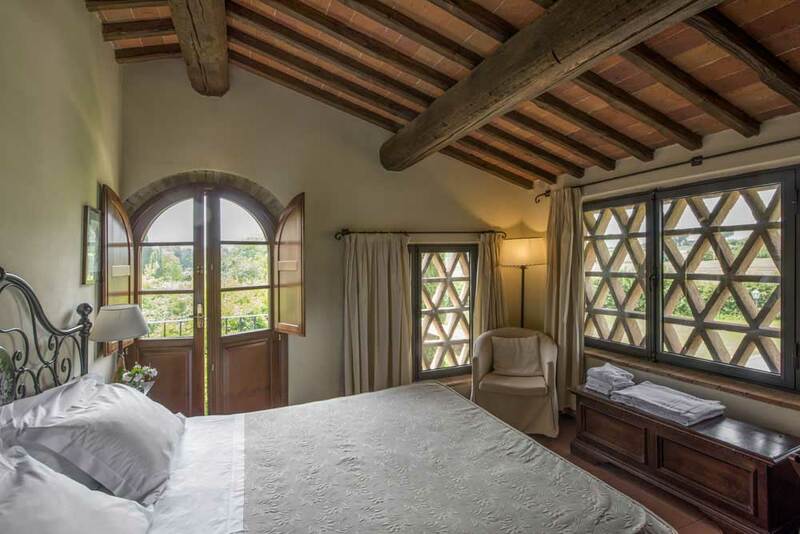 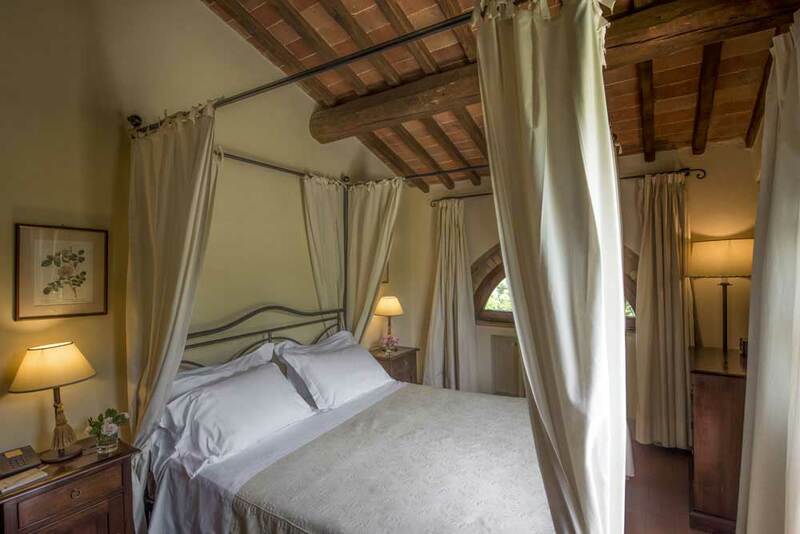 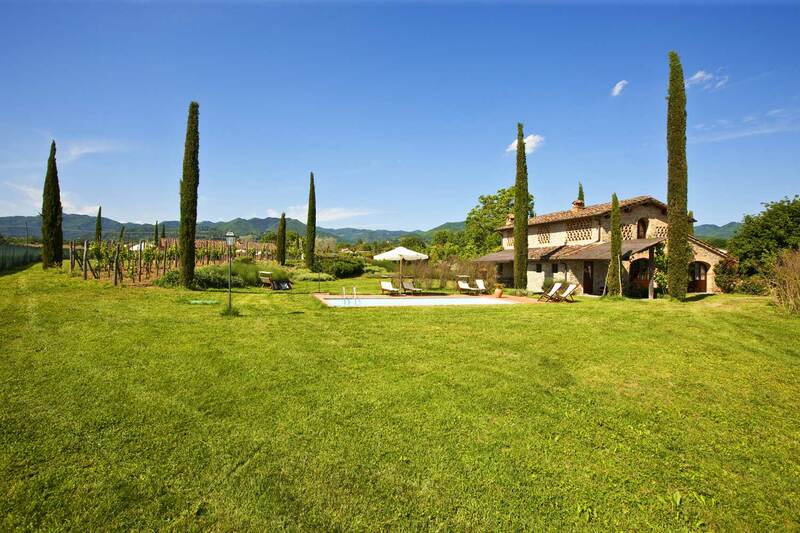 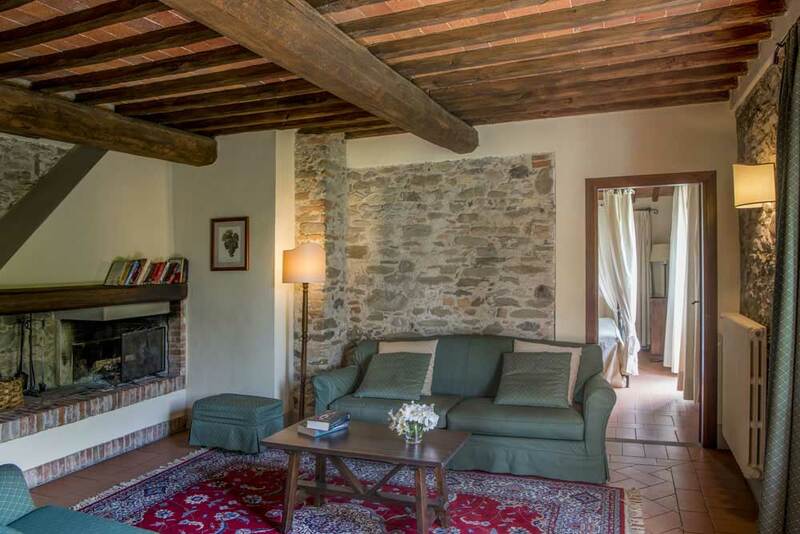 The Villa named Il Frantoio (the oil mill) is a big farmhouse built with natural stone. 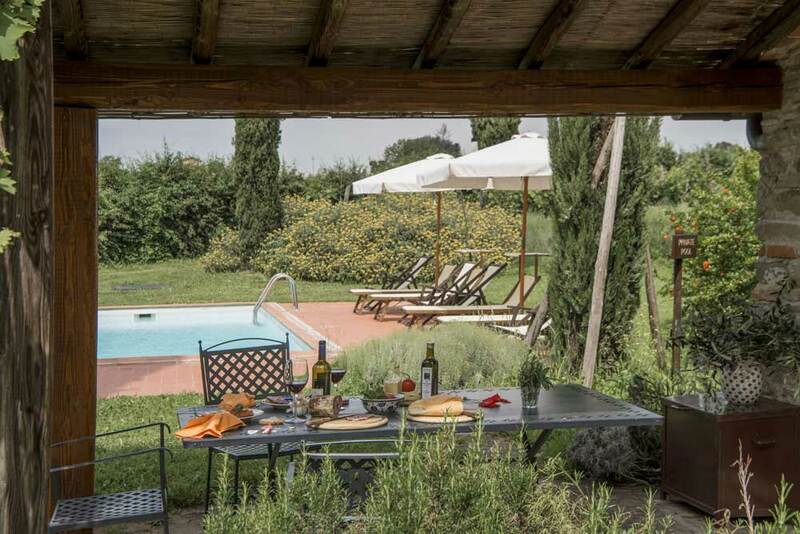 It has been completely renovated and has a private heated pool* (8x4) with sun beds and sun umbrellas, a 300 sqm garden and a big 35sqm porch with table and chairs. 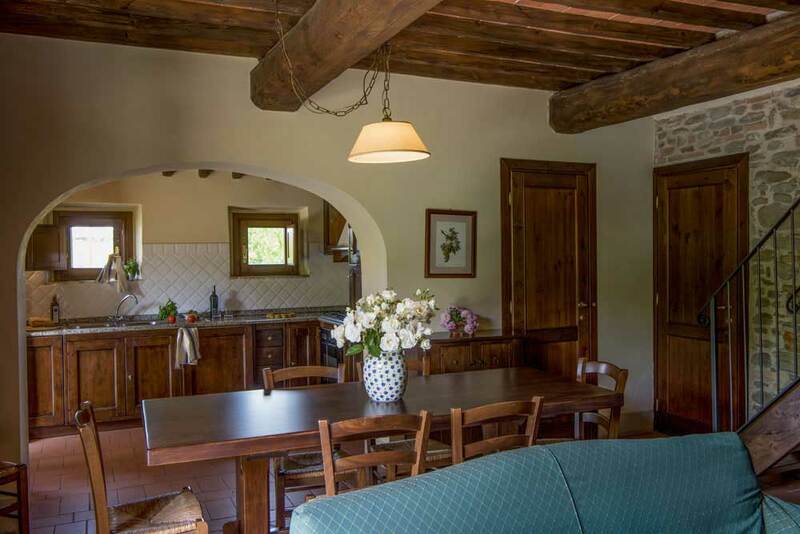 The main kitchen is on the ground floor where there is also a second kitchen, two dining rooms with fireplace and double sofa bed, two double bedrooms with ensuite bathrooms, one with a shower and one with a Jacuzzi, and two toilets. 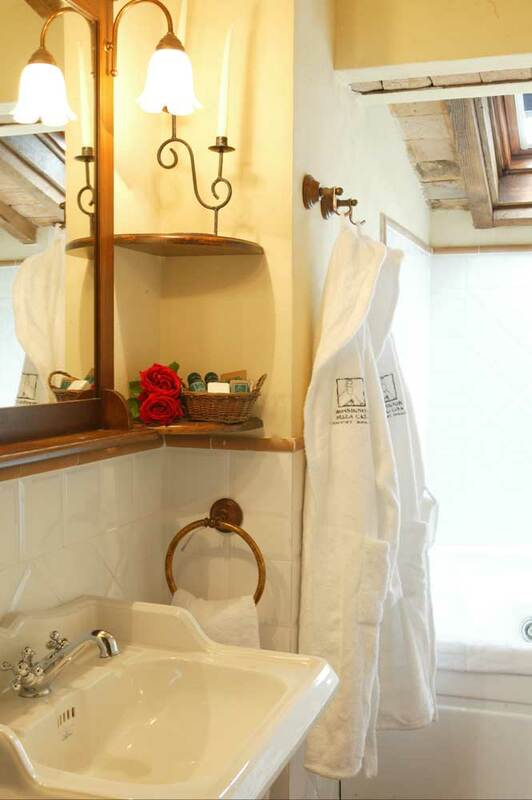 On the first floor there are two double rooms and two bathrooms with shower.